Dan Staifer: I suggest the Soft Taco Fresco Style. . . I suggest the Soft Taco Fresco Style. . .
OCTOBER 28 baby. 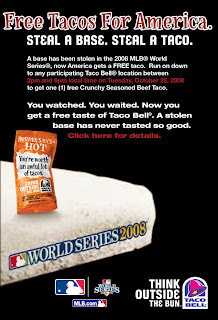 FREE TACO! One thing Title IX can't do anything about.